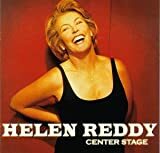 Helen Maxine Reddy (born 25 October 1941) is an Australian singer, actress and activist. In the 1970s, she enjoyed international success, especially in the United States, where she placed 15 singles in the Top 40 of the Billboard Hot 100. Six made the Top 10 and three reached No. 1, including her signature hit "I Am Woman". She is often referred to as the "Queen of '70s Pop". Reddy placed 25 songs on the Billboard Adult Contemporary chart; 15 made the Top 10 and eight reached No. 1, six consecutively. In 1974, at the inaugural American Music Awards, she became the first artist to win the award for Favorite Pop/Rock Female Artist. In television, she was the first Australian to host her own one-hour weekly primetime variety show on an American network, along with several specials that were seen in more than 40 countries.